The A-class concept was shown at the Shanghai auto show. To distinguish Mercedes-Benz's next-generation CLA from the redesigned A-class sedan due next year, the CLA will get fastback styling said to resemble the four-door Mercedes-AMG GT concept unveiled in March at the Geneva auto show, company sources say. The low-slung CLA is based on Daimler's front-wheel-drive platform. 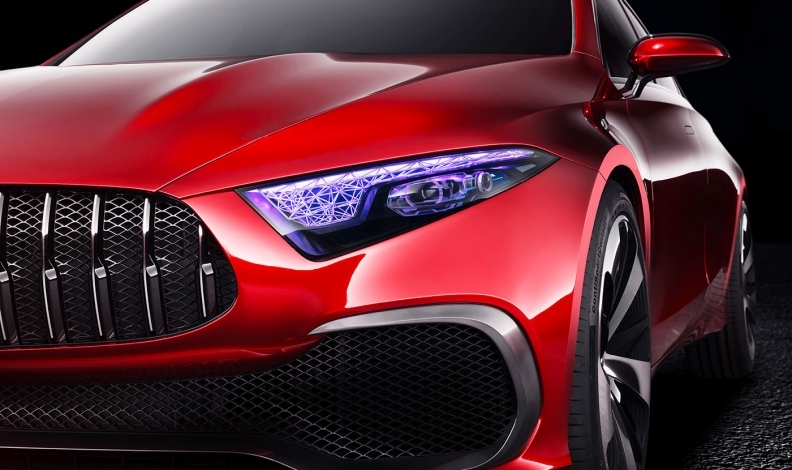 Meanwhile, sources say the A-class sedan will look similar to the concept unveiled last month at the Shanghai auto show, where it was shown with an AMG grille. Less powerful versions will receive a more conventional grille.